Why don’t British girls love Australian? “Who is drinking Australian wine in the UK?” is the question asked by market research company Wine Intelligence. Research shows that Australian wine is engaging older wine drinkers in the UK, but is failing to excite younger UK wine drinkers to the same extent, and this is particularly true among female drinkers. UK Vinitrac® findings from October 2010 show that of the 57% of the UK regular wine drinkers who opted for Aussie wines in the previous 6 months, two thirds were aged over 45 years old, with 1 in 4 of them being aged over 65 years old. Those not currently purchasing Australian wine in the UK tend to be of the ‘millennial generation’ (i.e. the under 35 year olds). Australian wine also causes a gender divide, proving more popular amongst men than women. 60% of regular female wine drinkers in the UK are not currently drinking (at least, they are not knowingly drinking) Australian wine, compared with 45% of men who currently do not reach for Australian wine amongst their source countries. The Lindo family of Camel Valley Vineyard have handed over a cheque for £550 to Dania Shaw of the Cornwall Air Ambulance, having raised money through a simple initiative introduced to their vineyard and winery tours. Visitors to the vineyard near Bodmin pay for a personally guided tour of the vineyard and winery which includes a glass of still wine, but for an extra pound they can ‘upgrade’ to a glass of bubbly to enjoy on the terrace. Those extra pounds go straight to the Cornwall Air Ambulance Trust, whose Patron is HRH The Duchess of Cornwall, and over the past few years this has amounted to £3500. Bob Lindo (left of picture) said: ‘We had wanted to do something for the Cornwall Air Ambulance ever since it airlifted our daughter, Esther, to Treliske when she had a riding accident in 1996 at the age of 15. I think it probably saved her life, and the speed with which she was taken to hospital certainly prevented her being paralysed.” Also pictured, Camel Valley Hospitality Manager Sophie Hicks, with Dania Shaw of Cornwall Air Ambulance. Cult New Zealand Sauvignon Blanc producer Cloudy Bay has launched a Late Harvest Riesling in the UK for the first time. Following the change of EU laws to allow the import of sweet wines from New Zealand, the small parcel of wine is now on shelf at Jeroboams stores. The wine has been available in New Zealand for twenty years. Wine-pages will be tasting and reviewing the wine soon, the fruit for which is sourced from two sites in the Fairhall and Brancott subregions of Marlborough, picked between 17th and 31st May with two passes through the vineyard on each occasion to separate out the botrytised bunches. Jeroboams, £19.95 per 375ml bottle. Highly experienced wine journalist and editor of Imbibe magazine Chris Losh has assembled a crack team of sommeliers to put together the Wine Waiter iPhone app. The app launched on January 19th 2011 and offers a “no-nonsense, easy-to-use” set of features that promise to “take the mystery out of matching food and wine, whether you are in London, Los Angeles or Stockholm.” (and in other places too I suspect!). Select the food that you’re having, and the Wine Waiter app will give you six wine options, at different price levels. Put together using the top-class knowledge of dozens of Europe’s top sommeliers it also features video advice and expert tips to help you get more from wine. The app is priced at £1.19 from the iTunes app store. 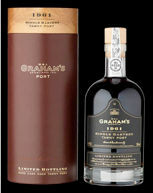 The Symington family has announced the release of a “unique and well-kept treasure,” Graham’s 1961 Single Harvest Tawny Port. A bottling from only three casks personally selected by Charles Symington, each produced 712 specially hand-numbered bottles. 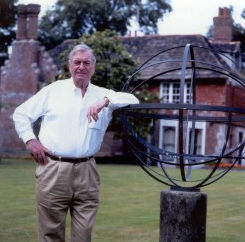 Charles Symington said: “Every year we taste and assess all our ageing wines in the Graham’s Lodge. I was so impressed by Graham’s 1961 Single Harvest evolution, with its vivid rich amber color, caramel and nuts aromas, complex palate with honeycomb and crystallized orange peel flavors, that I decided to release a Special Edition of this truly hidden treasure.” Each bottle comes in a high quality protected padded leather tube and a solid oak cap. It is available from Berry Bros & Rudd, Corney & Barrow, Harvey Nichols, The Wine Society, Hailsham Cellars, Planet of the Grapes, Selfridges, Handfords, Harrods and Fortnum & Mason with a suggested retail price of £250.00.